Today the Bureau of Labor and Statistics (BLS) reported that the August unemployment rate for Post 9/11 veterans decreased to 8.1, down from 9.2 percent in July. Unemployment for all veterans also decreased, from 6.0 in July to 5.6 in August. The national unemployment decreased only slightly, from 6.2 percent in July to 6.1 in August. After two months of increasing unemployment rates, this is good news for both our veterans and the nation as a whole. However, we still need to keep our focus, given that unemployment remains much higher among Post-9/11 veterans compared to civilians. We also need to make sure that we are focusing specifically on improving the employment situation of younger, minority and women veterans. This month BLS highlighted women veterans in the labor force. Veterans from Gulf War I and II* are more likely to be women, and in fact, more than half of women veterans served in one of these two conflicts. In 2013, there were 2.2 million women veterans, and 6.9 percent of them were unemployed (down from 8.3 percent in 2012). While this decrease is noteworthy, it’s also important to highlight that while Gulf War era II veterans make up only about a quarter of the female veteran population, almost half (40 percent) of the unemployed female vets are Post-9/11 vets. Employed female vets are more likely to work in the federal government, management, and professional occupations, compared to nonveterans. This shows the continued importance of hiring initiatives for our veterans. Even after service they continue to look for leadership roles and show a strong commitment to our nation. As a nation, we need to continue to invest in this spirit of service and proven leadership. 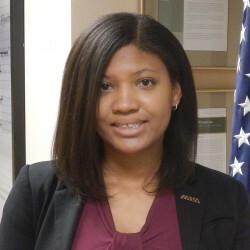 IAVA has made multiple recommendations to improve the employment outlook for our all new veterans, including incentivizing employers to hire veterans, teaching veterans how to market transferable skills and increasing support for veteran entrepreneurs and small business owners through expanding programs like thee Entrepreneurship Bootcamp for Veterans (EBV). This is especially important for younger, minority and women veterans. For more on IAVA’s policy recommendations for veteran employment and education, please see IAVA’s 2014 Policy Agenda. * Gulf War I veterans served between August 1990-August 2001, Gulf War II veterans served September 2001-present).